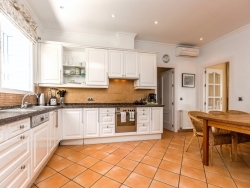 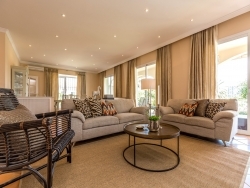 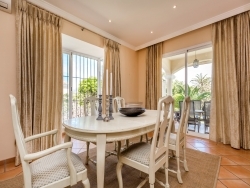 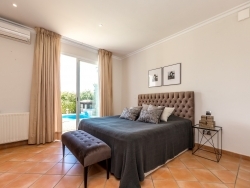 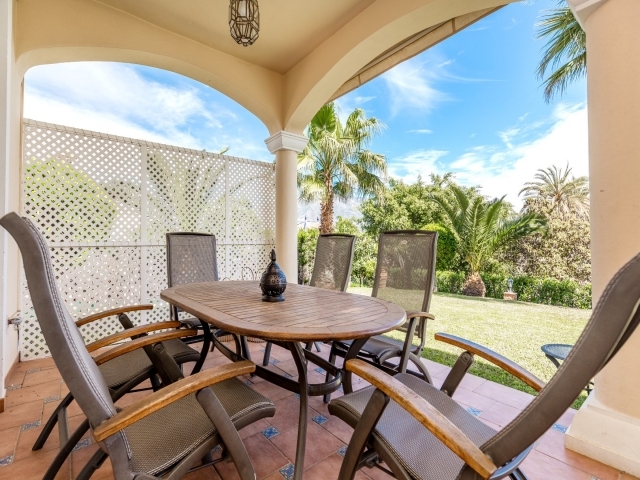 Charming five bedroom villa for sale in the prestigious Nueva Andalucia Golf Valley. With proximity to various renowned golf courses, and within walking distance to amenities, the property enjoys a highly convenient location. The entrance hall leads through to a large combined living and dining room with the kitchen to your left, a laundry area and guest toilet. 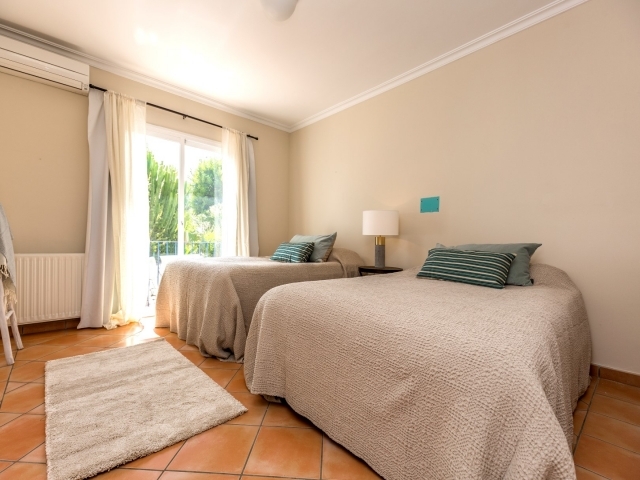 On the right is the master bedroom with en-suite and one guest bedroom. 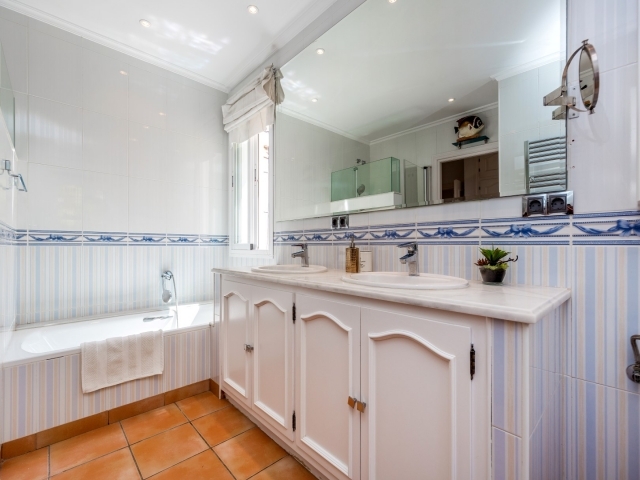 Upstairs you will find two more en-suite bedrooms. 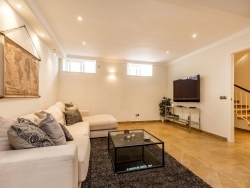 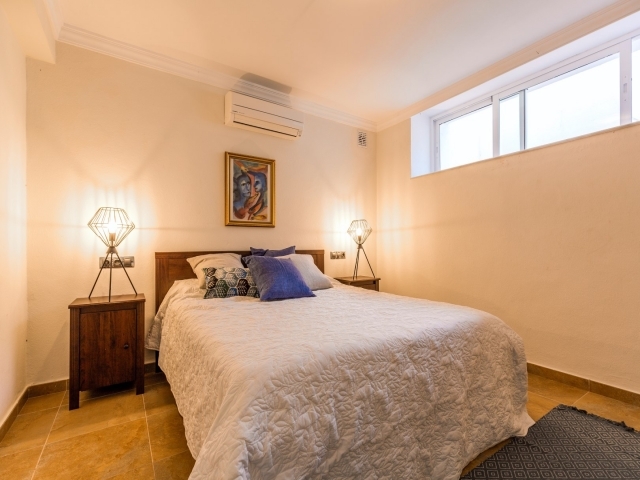 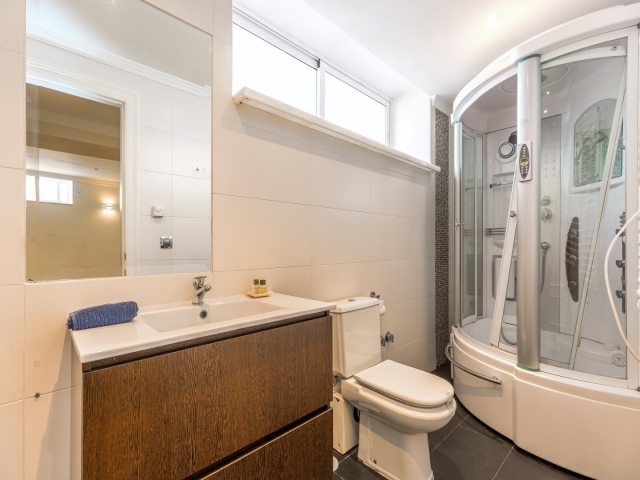 The basement level offers a fifth bedroom, also with en-suite bathroom, and an additional space that could be used as a games / entertainment room. The living/dining room provides direct access out to a fantastic private garden with a generous swimming pool (8x4 meters), terraces with space for al-fresco dining and plenty of grassed area. 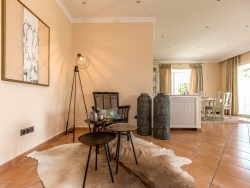 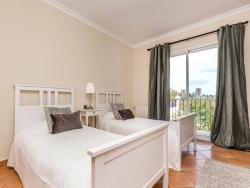 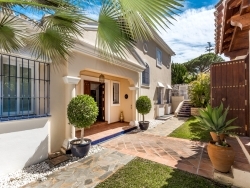 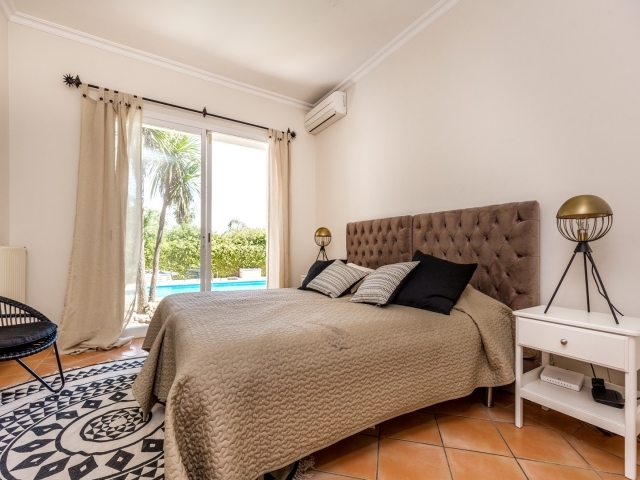 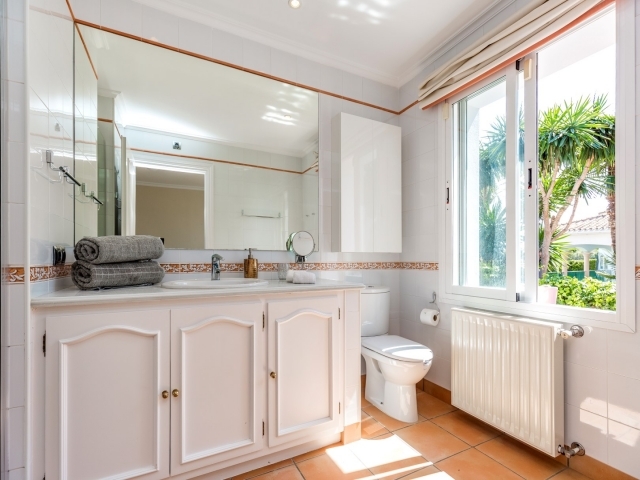 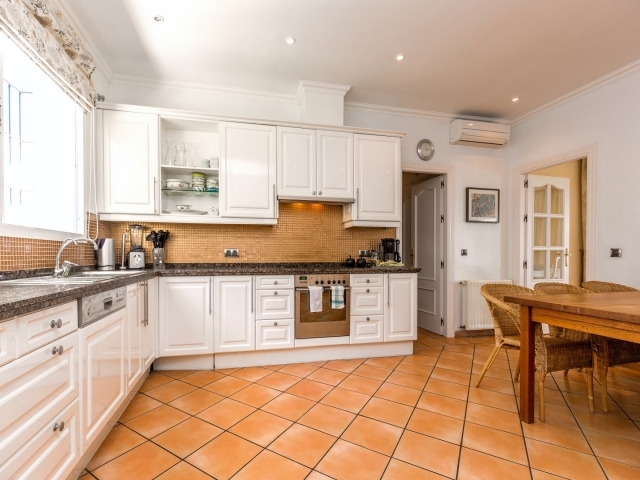 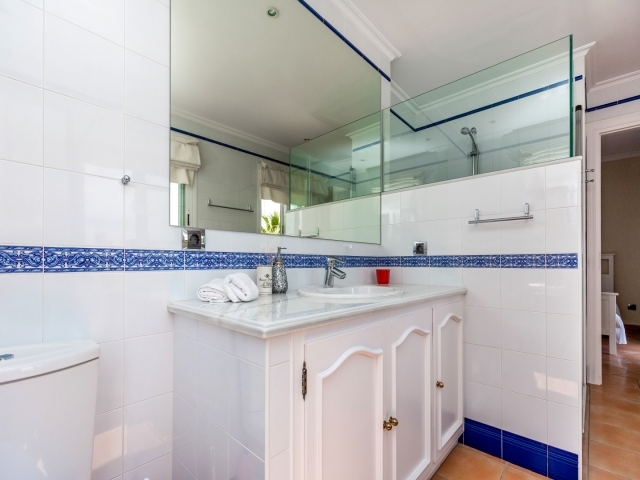 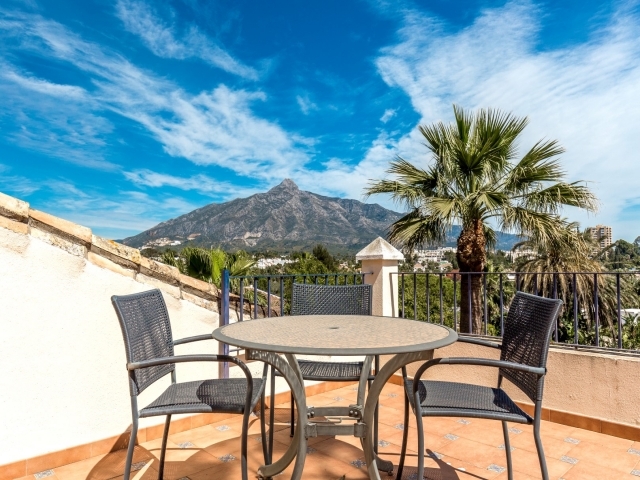 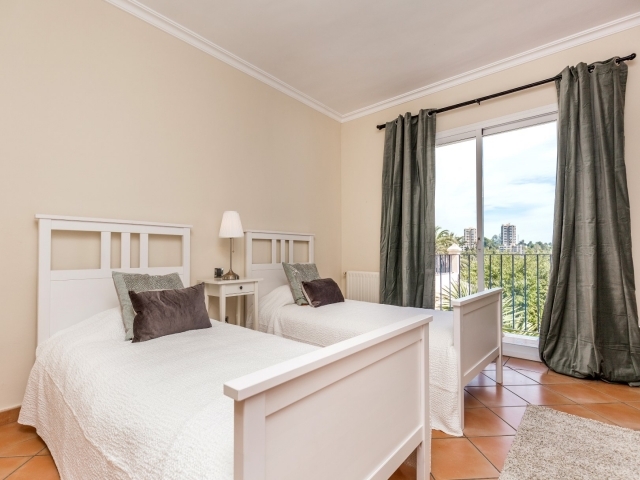 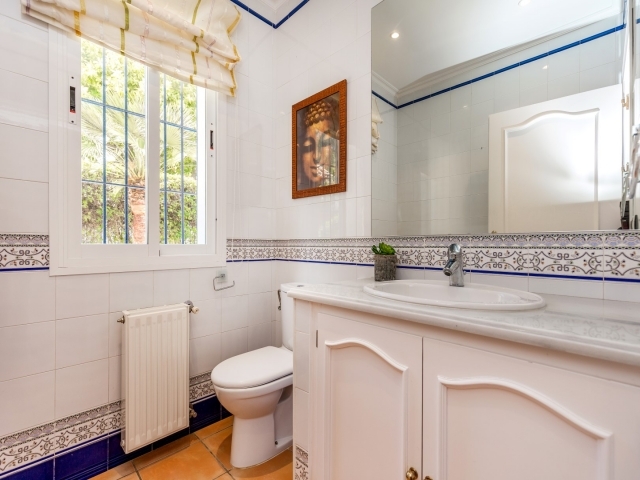 This is a spacious villa with a lovely, traditional charm; it has the potential to make the ideal family home in a highly-enviable location here on the Costa del Sol.